The word for today is “classicide,” which means “extermination of a class” rather than ethnicity, race, or religion. Mao, unlike the Soviets—who used NKVB/KGB forces to carry out political persecutions—mobilized the Chinese peasantry itself to kill landlords and other perceived privileged classes. It came in 1946 after Mao’s communists won the hearts of millions of Chinese poor and upper-class peasantry, launching a land reform campaign. However, there was one obstacle that stood in the way of their land redistribution efforts: the owners of the land. Right after land reform became a policy of the newly formed People’s Republic of China, Mao biographer Philip Short said Mao-led peasants “lurched violently to the left.” Millions of people died. There were no landlords there, just peasants, some of whom were richer than others. The violence that erupted was not spontaneous, but carefully orchestrated. For several weeks, people were whipped up into a frenzy by Party cadres in public rallies, then armed with sticks, hoes, or even guns, and unleashed on those who had a little more education, or a bit more land, or a slightly nicer dwelling. In this type of mob savagery (think of what happened to Jews in Polish villages under Nazi rule), greed, envy, and personal resentments are useful human instincts for officials to exploit. Since class categories were often so arbitrary, and the instigators of violence usually came from the outside, people were in effect set upon one another, friends upon friends, children upon parents. This was the point of the exercise. Through organized violence, the Party made everyone complicit in the mayhem it stirred up. The aim was to tear apart the fabric of traditional Chinese life, leaving the Party as the only permitted focus of loyalty and authority. Rummel’s death figure, he said, is supported by individual reports, including one from a Catholic school teacher from a small village of around 800, who said 20 landlords were executed. 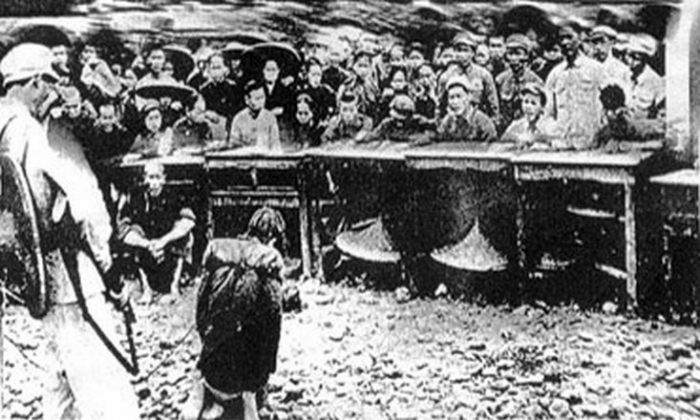 A Chinese Communist official estimated that as many as 190,000 were executed in Guangxi Province. Mao himself claimed that only 800,000 landlords and rich peasants were killed. Regardless of how many died, “within three years of the founding of” communist China, “landlords as a cohesive class, which had dominated rural society” since the Han Dynasty more than 2,000 years ago, “had simply ceased to exist,” Short said. Classicide was just one of the many methods Mao and subsequent Chinese Communist Party leaders used to target groups in various land-grab campaigns.